Father's Day is coming up as you can tell by all the Father's Day giveaways going on. Here's a sneak peak at an upcoming Father's Day Giveaway that starts June 1. 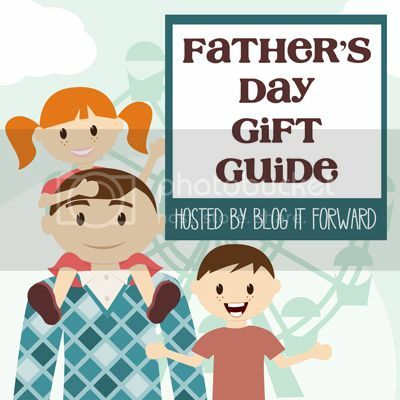 For now though, check out 2012 Father's Day Gift Guide hosted by Blog It Forward! Here are some great gift ideas for dad because men are so hard to buy for! We have gift ideas for all of the special men in your life! From hammocks to bathrobes to digital filing systems, we have ideas that will make your shopping easier! 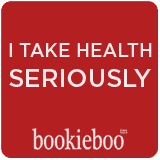 Visit the links above for full reviews of our fabulous sponsors. You will also find special offers and discounts. We hope you found some gift giving inspiration for you dad! 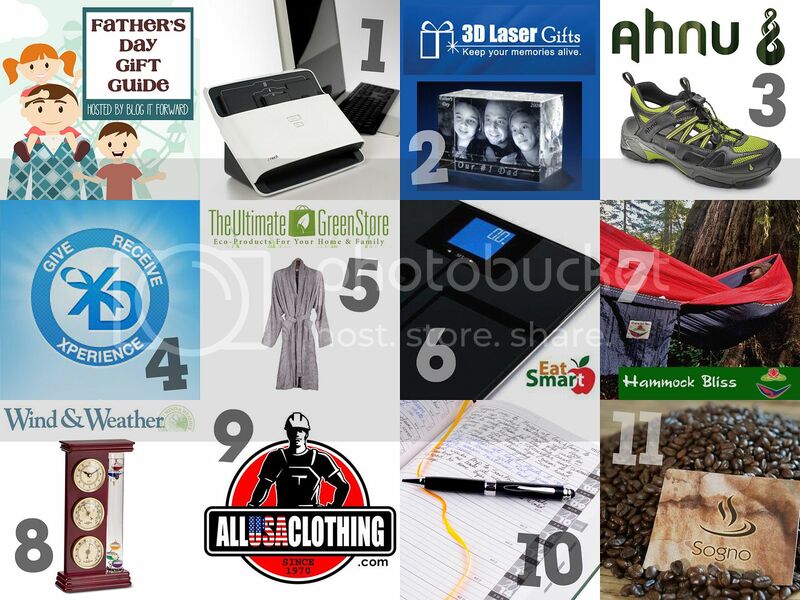 Don't forget to come back on June 1 because we will be giving away *every*single*gift* on the Father's Day Gift Guide! Total value exceeds $1210!! Please take the time to enter my other giveaways while you're here.